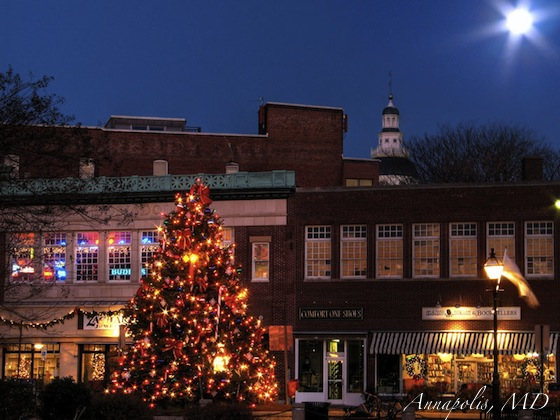 It was our intent to bring y’all some awesome Christmas content this week. Really, it was. But then life caught up with us. See, since we started Bows & Boats we’ve both had a couple of kids, and gained even more nieces and nephews. That means the last few weeks have been jam packed with shopping for the kiddos, putting together bikes, and generally spreading as much Christmas cheer as possible to friends and family. So, with that said, we’re officially checking out this week. For the most part, our ‘go to hell’ pants are only worn in the Spring and Summer. That said, this time of year, we may break out the bright red from time to time, and, of course, all bets are off when it comes to plaid. 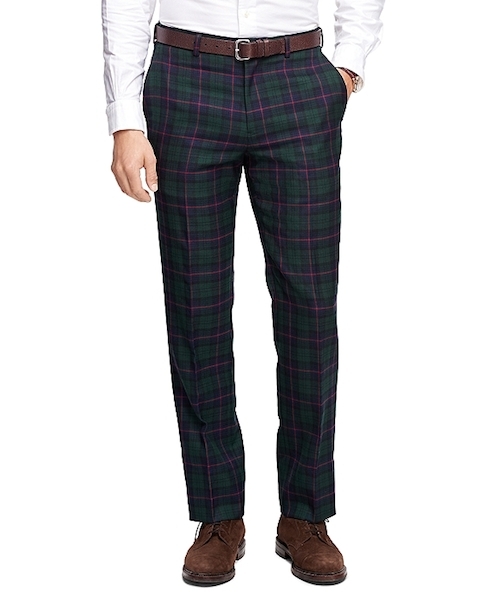 If you’re looking for a way to liven up your wardrobe for a holiday party, or just a cold day in the office, the Fitzgerald Tartan Trousers from Brooks Brothers are the perfect choice. We were on the fence about running a gift guide or two this year, but after countless friends and family members coming to us asking what to get “someone who already has everything” we figured there’d probably be some interest. 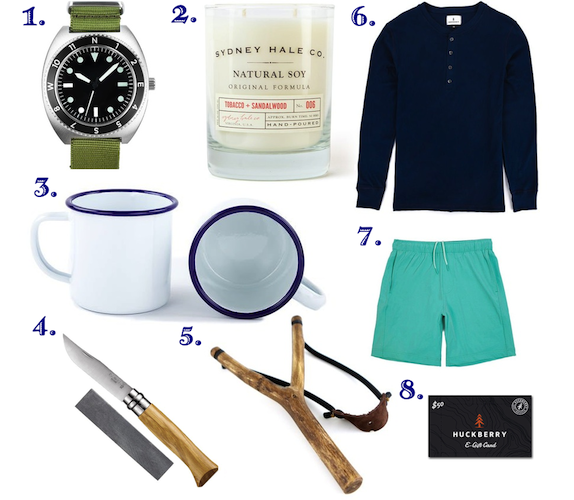 If you’re still on the hunt for that perfect gift, here are a few picks that can be found over at Huckberry. Full disclosure here, we are part of their affiliate network. That said, their collection is fantastic. Even if we had no affiliation, this is where we’d point you if you asked us for a ‘one stop shop’ for a whole bunch of awesome. In our opinion, the best gifts are those that can be used regularly. 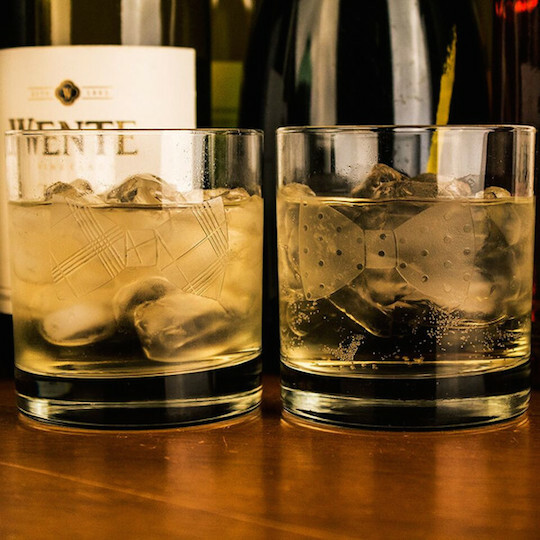 In fact, one of our favorite gifts of all time is a set of monogrammed rocks glasses that a buddy gave us as a thanks for being in his wedding. If you’re on the hunt for something to give your favorite bowtie afficianado this holiday season, your search has officially ended. Our Bowtie Friday pick this week is a set of Bow Tie Rocks Glasses from our friends at Country Club Prep. As much as we love watches, we are far from “watch guys”. Sure, we have a cursory knowledge of what makes “nice” watches nice, but, beyond that, we pretty much just stick with what catches our eye. Today’s pick certainly did that. It’s the Limited Edition Ace from Martenero. It’s been a few months since we’ve done an “Offered for Discussion” post, but a conversation yesterday led us to today’s pick. 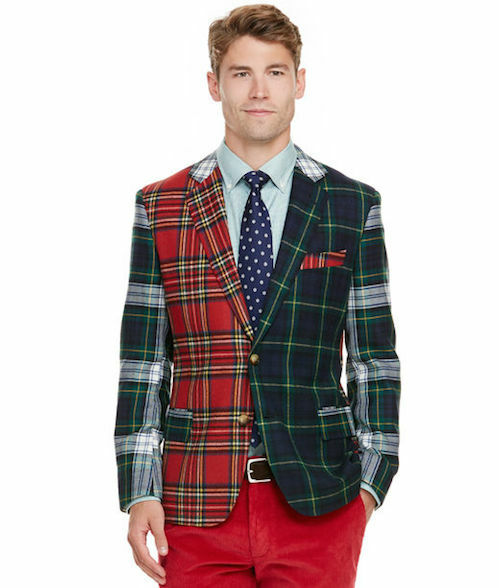 It’s the Party Tartan Blazer from Vineyard Vines. Let’s hear it guys, would you sport this? If so, where are you wearing it? We’ve finally found proof that not everything that is “Holiday Sweater” themed has to be ugly. 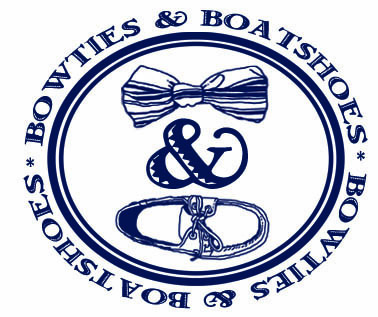 In fact, we might even sport a sweater that looks like today’s bowtie Friday pick. 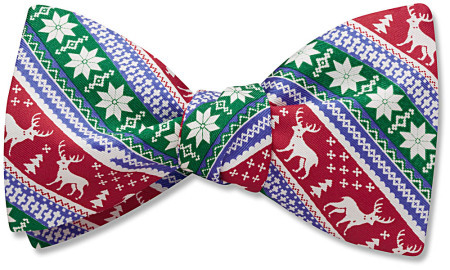 If you’re looking for something to get you in the mood of the season, Beau Ties Ltd. of Vermont has you covered with their Holiday Sweater Bow. With a print that features snowflakes, reindeer, evergreens, and poinsettias, this tie will have you whistling Christmas songs before you’re even done tying it. A couple of years ago, our buddies over at Streaker Sports found themselves at an auction. At said auction was a piece of memorabilia that they fell head over heels for. 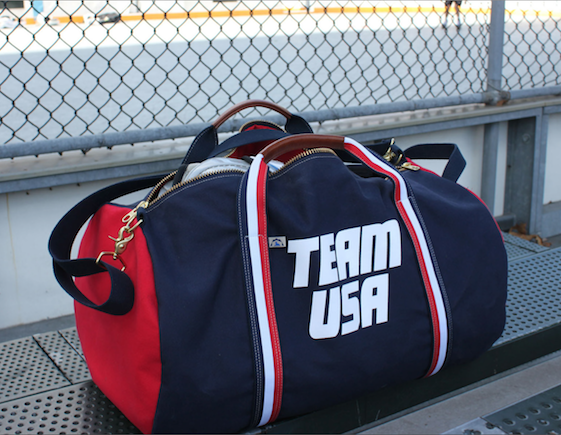 It was an original team issued equipment bag from the 1980 US Hockey team made by a company in Minnesota called Christian. Unfortunately, someone had deeper pockets that day, and Christian is no longer in existence. 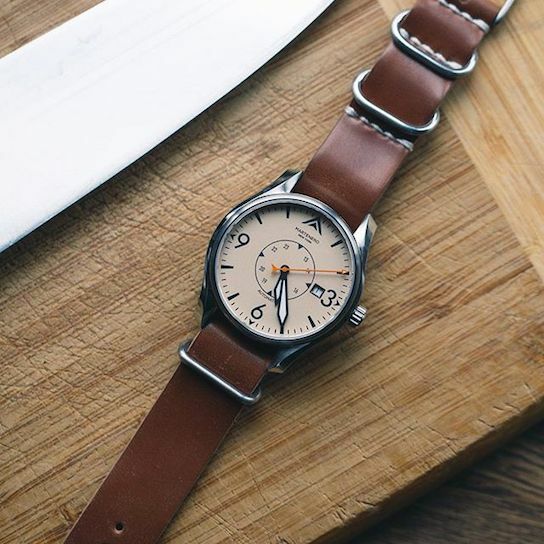 As the years went by, they couldn’t stop thinking about the bag, so they finally reached out to Hudson Sutler to see if they could cook something up to pay homage. The end result is the Placid Weekender. We have a feeling Mike Eruzione would be proud to carry this one.